More whales got tangled up in crabbing gear along the California coast in 2014 than in any previous year. Environmental advocates gathered data from the National Marine Fisheries Service showing whale entanglements have been trending up for more than a decade; Earthjustice, Oceana and the Center for Biological Diversity are appealing to state wildlife officials to make changes in crab fishing practices. 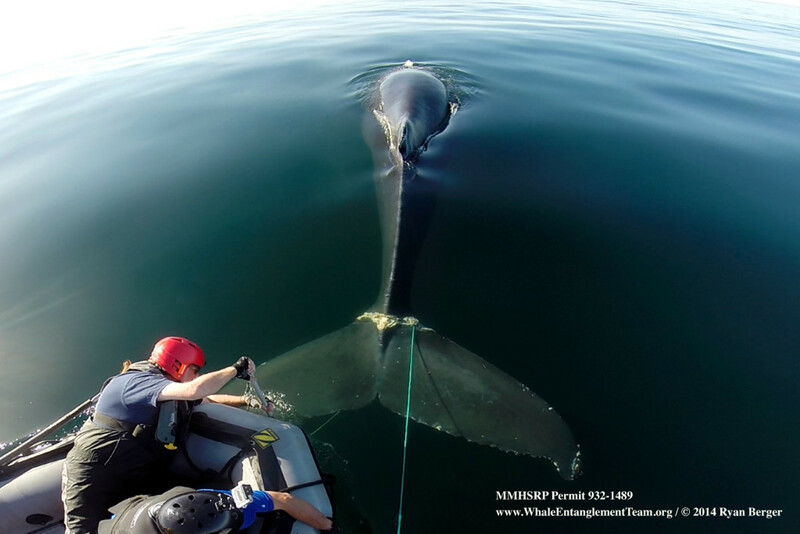 A letter sent Tuesday to the state Department of Fish and Wildlife and the state Fish and Game Commission includes charts showing in California 21 whales got entangled last year in the lines fishermen use to haul up crab traps, and five died. Most whales that get entangled are humpbacks and gray whales. Earthjustice attorney Andrea Treece says whales often struggle to free themselves or can sometimes die in the process. One place where the entanglements have been particularly noticeable is in Monterey Bay. Peggy Stap, executive director of Marine Life Studies, says she often boats out in response to reports of entangled whales, and works to free them. She points to research that found scars from entanglement are commonplace. “Oftentimes they can and will throw the gear," Stap says, "but what makes you wonder is how many are not surviving." The letter calls for tweaks to fishing gear, like adding weak links in the lines so whales can break free. It also urges putting more than one trap on the same line so there are fewer lines to the surface.